The discussion of environmental degradation is doing the rounds after the recent landslides in #Uttarakhand state of India. Media is dubbing it as “Himalayan Tsunami”. Survivors describe the scenery in the hilly state as the one from the apocalypse movie ‘2012’. Opinion about the cause behind the natural calamity, which has consumed thousands, is divided. Environmentalists are blaming the 53 hydroelectric projects, out of which 36 are under-construction, as the culprit. The landslides are being identified as a man-made disaster. Now many wonder that how come dams are responsible for the landslides? Dams are constructed to control the flow of the rivers and rain water. How a mechanism which is devised to control the flow of water can cause havocs like this? They argue that if the dams weren’t there the disaster would have been much bigger. Scientifically, it is clearly a flawed and uninformed logic, and I’ll explain why. 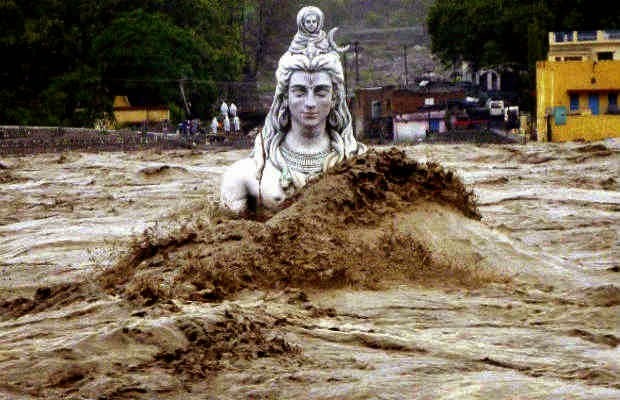 The problem that has lead to the Uttarakhand landslides isn’t because of the hydroelectric projects – but the methods of construction used by the contractors. Landslides are an age old problem in these mountains but have now been exacerbated by the unregulated construction activity going on in the hills. Himalayas are relatively young mountains and still growing which makes them prone to landslides and earthquakes – which further ads to the need to regulate the level of construction in Himalayan states. Blasting for new cement factories (HP), power plants (HP and Uttrakhand), Haphazard construction on fragile hill-slopes (hotels, multi-storey houses) and rapid de-forestation has lead to loosening of the soil. A cloud-burst (quite common in the hills) will then take more loose-mud from upstream and swell in volume causing even more destruction downstream. During monsoons, landslides occur predominantly near sites of power projects, cement plants, big houses, places where road-widening is going on. Why? Because proper procedure is not followed when cutting up the hills (to minimize cost, speed up execution) and there is not enough regulatory oversight to enforce this. It may be interesting to know that countries like Switzerland prohibit blasting to cut mountains – but in India it is freely practiced to cut cost and save time. Another major cause is deforestation and construction around the river-bed. This is happening because of the tourism pressure in Uttarakhand. There’s a limit to what these mountains can take. When you have millions of pilgrims in the state around the year – you need space to accommodate them. This builds pressure on the environment – which eventually spirals into calamities like these. Many of the settlements have been built right next to the rivers in blatant violation of environmental laws. State government has shown no inclination towards changing it’s strategy in future in the wake of current crisis. Instead through unofficial channels it is trying to insinuate that those massive unregulated construction in the hilly state has got nothing to do with the landslides. Natural calamities happen across the word – and that’s the part of the cycle of nature. You can neither control it, nor predict it – but plan your way around it. But how do you deal with the man-made disasters? Once the ecology of a region is destroyed it may take decades to restore it. This directly implies that if immediate steps aren’t taken – landslides of this magnitude may become a yearly affair in Uttarakhand. Are we ready for that? What may scare you is that this was just a cloud-burst – this region lies in a high seismic activity zone. What havocs a probable earthquake can bring needs to be researched upon – and we should prepare in advance. The big question is why development can only be defined in economic terms? Why not measures like “improving the quality of air” is counted as development. This issue is more political than environmental. India has suffered from policy paralysis in the past decades which had slowed our development – it was said that we “think too much”. But there’s a good chance that the other extreme of “thinking too little”, while racing for economic returns, is a path towards destruction. We’re the second most populated country in the world – clearly the pressure on the natural resources if going to be high. Development is the need of the hour but why not include environmentalists into these plans. Technology has empowered us to find creative win-win solutions. Though, that will require the political will and responsible leadership – a leadership which is less concerned about scoring brownie-points pre-elections, but more about taking right and informed decisions for the local population.